Is It time For A Furnace Tune Up? 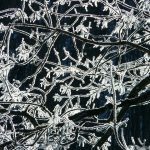 Home » Is It time For A Furnace Tune Up? If your furnace seems a little sluggish, it may be time for a furnace tune up. As the temperatures continue to drop and the cold weather looms for months ahead, many homeowners are turning their attention to their furnaces. Now is the time of year where furnaces are starting to really get their first workouts in months. It is also the time where homeowners may start to notice potential issues with their home heating system. Furnace maintenance can extend the lifetime of your heater and save you money by preventing costly repairs, call us today to schedule your furnace maintenance check and tune up. Furnace is not putting out heat — Is your furnace having a hard time keeping your home warm? If your furnace isn’t putting out heat, that’s a pretty obvious sign that something is wrong and your system needs a tune-up. 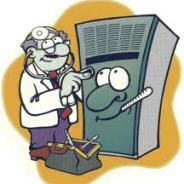 Call a qualified HVAC repair company to service your furnace immediately. Your energy bills seem far too high — It’s normal for energy bills to increase during the winter because you’re running your heater more than usual. However, if your bills are spiking higher than expected, it could be that your heater isn’t running efficiently and needs to be serviced. Your furnace makes strange noises — Your furnace should be pretty quiet when you turn it on and when it’s running. If your furnace makes loud, unusual noises, something may be wrong with its operation. Contact a furnace repair technician immediately. For all your furnace maintenance and furnace repair needs, contact Sanders & Johnson. We offer a full range of Denver furnace repair services to customers across the area.